Hi welcome to day four’s cybercast for the Volcanoes of Ecuador Alpine Ascents’ tour. We had a great day today, the weather was equivocal, it was a little overcast, started off a little bit chilly and with a mild amount of humidity in the air, a few little sprinkles here and there. 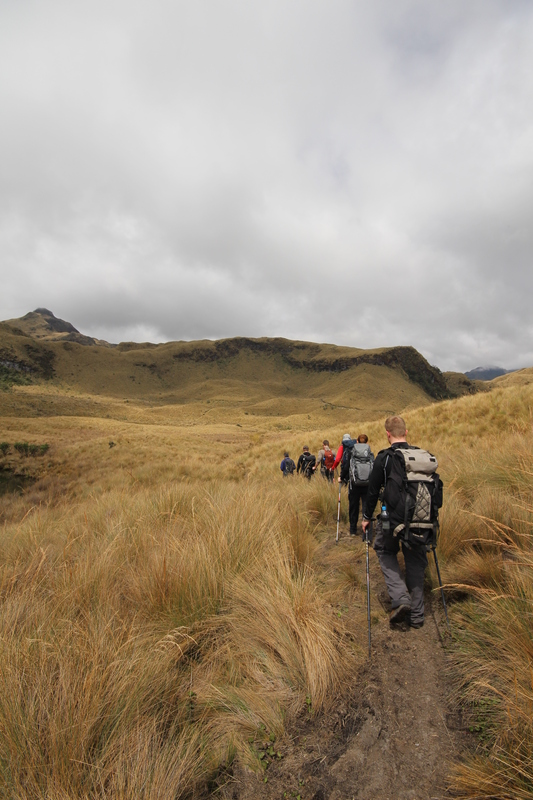 We took another acclimatization hike through, we went to the protected area Cayambe for another acclimatization hike. The entire group did well. It was a hike through some very rolling hills up relatively well-marked terrain. Started off with a fire-road-type trail and then went all the way up to about 13,100 feet across very muddy areas, through some very beautiful lakes. 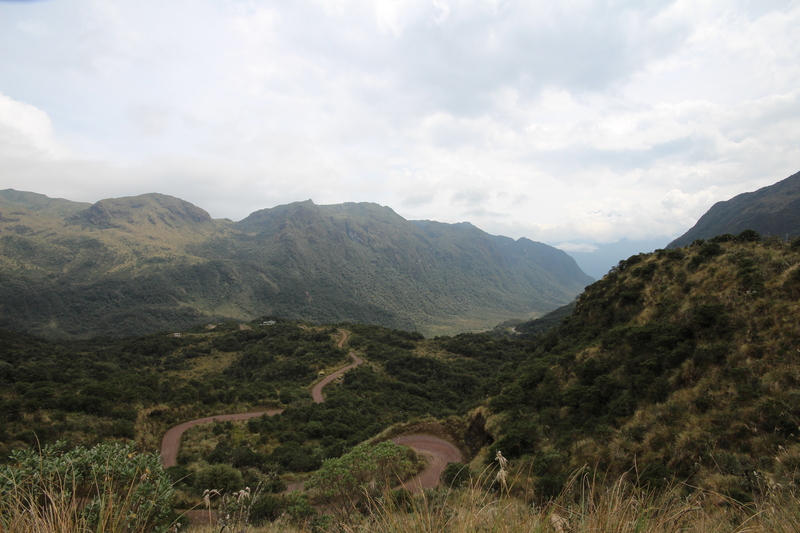 We actually also got our first glimpse of Antisana today as the clouds broke free during one of our breaks. 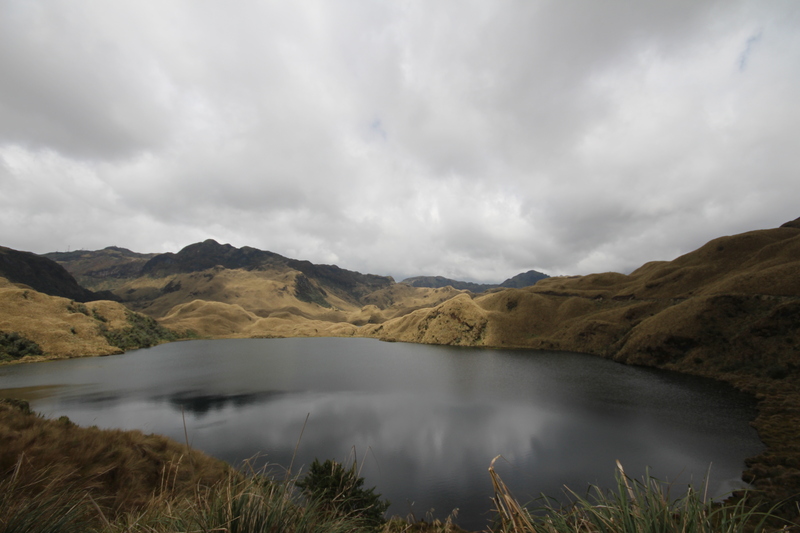 That was probably the highlight of the hike, was seeing the very clear lakes where you could actually see the fish and also getting to see approximately ¾ of the way up Antisana as the clouds parted. We came down from our hike and then returned to the Papallacta spa, and enjoyed relaxing in the hot springs and several of the group took massages as well and then we had a very enjoyable dinner. We got to watch some very, very interesting video from the Dover area of England, which was enjoyed by the entire group. We’re looking forward to tomorrow to moving to our initial Base Camp for Antisana. And I’d like to just make sure and let everybody, family and friends who are checking these cybercasts out, that everybody is doing well and no one is having any problems, and we are excited to go to the next phase.